The NMEA interfacing standard ensures that conforming instruments all speak the same language. This language can be understood by PC programs like Windmill software, and data from many different instruments can be logged to one time-stamped file. 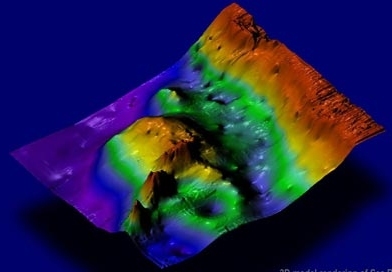 Depth data from sonar and position data from a GPS receiver can be combined to plot a contour map for example. The standard was developed by the US-based National Marine Electronics Association in the 1980s. The NMEA 0183 standard uses ASCII messages which can be sent over RS232 serial links. In 2000 a new standard was released - NMEA 2000. This uses CAN (Controller Area Networks). This article concentrates on NMEA 0183. Next are the comma separated data values. Here is an example of a complete NMEA sentence. ie 53 degrees, 30 minutes and 7 seconds. N        - North (or S for South). ie 2 degrees, 15 minutes and 19 seconds. W        - West (or E for East). 124531   - UTC Time of 13:45 and 31 seconds (hhmmss). UTC stands for Co-ordinated Universal Time. to Greenwich Mean Time (GMT). A        - Data valid (or V for data invalid). that the sentence has been properly transmitted. transmitted as ASCII characters 013 and 010. The maximum sentence length is 80 characters. If data is unavailable two commas with nothing in between are sent. The standard allows a manufacturer to define its own proprietary sentences. These allow more functionality but are unique to each manufacturer. These type of sentences start with "$P". This is followed by a 3-letter manufacturer ID and a 1-letter sentence identifier. NMEA 0183 devices have serial ports. With a suitable cable they can be plugged into the PC's RS232 serial connector (now mostly via a USB-RS232 converter). Software like Windmill can then collect and interpret the data being sent from the instrument to the PC. Some manufacturers may use non-standard cables and plugs. It is often easiest, therefore, to buy the cable from your instrument supplier but you can make or modify your own. The NMEA signal or output line needs to be connected to the RS232 receiver or input line (line 2 on a 9-pin plug). The NMEA ground or earth needs to be connected to the RS232 ground or earth (5 on a 9-pin plug). Our Serial Ports and RS232 Connections page gives details on RS232 connections. These should work for all instruments but, depending on your device, you may be able to use a higher baud rate. You will need to tell the data acquisition software about the communication settings your instrument is using. After connecting your NMEA devices to the computer you need some software to capture the data and save it in a file, such as Windmill with the COMIML driver. Windmill also lets you chart data and export it to other programs like mapping packages, spreadsheets and databases. and store the result in Channel 0.